Consists of photographs created by the Ocean Falls Company. 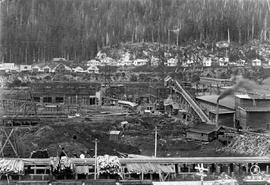 Pacific Mills Limited and Crown Zellerbach Canada Limited, depicting the pulp mill, equipment, and community activities. 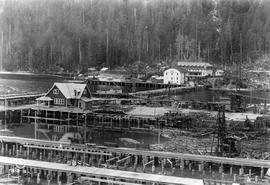 Some images are included of people and special events at Ocean Falls, B.C. The majority of prints are arranged in a numeric [OF] numbering schema starting with images from 1916. Duplicate prints exist for some black and white images. The BC Archives rehoused the black and white prints and negatives according to OF photo negative numbers applied by the records creator. Conservation restriction: material in cool or cold storage requires special retrieval and handling. Contact staff for further details. Textual records accessioned in 96-1107.